Brittman provides complete staffing solutions for corporate clients by providing contractual and temporary manpower for any number of employees. Brittman provides complete solutions of temporary resource from selection to providing payrolling for un-skilled, semi-skilled, & skilled man power. 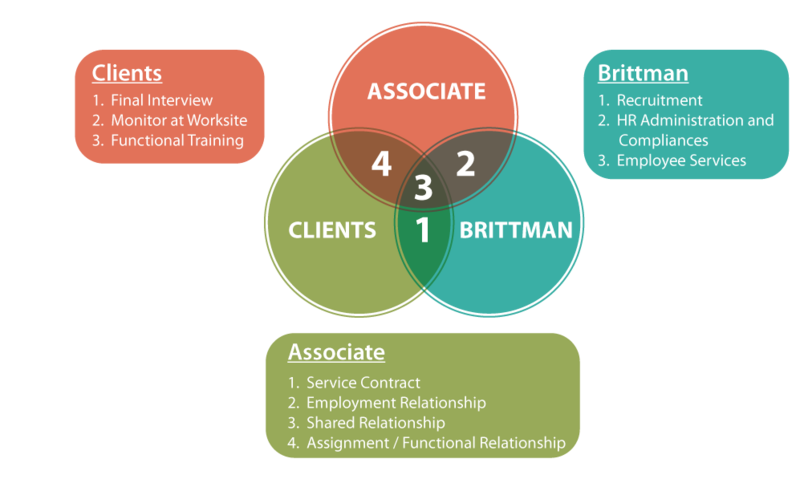 Brittman performs complete responsibility of employees HR administrative activities, Statutory employee benefits and compliances, etc. However, operational and performances related control of employee will be retained by client. Brittman caters to all major sectors namely Telecom, Banking, IT, Retail, Government Departments, and others. Equipped with latest technology and software.